HVAC equipment designed and built with serviceability in mind. Meet the last unit you will buy. Advance Industrial Refrigeration was founded in 2008. Located in Augusta Georgia, AIR is a full service manufacturer of HVAC equipment. AIR specializes in designing and building equipment for industrial processes where down time is not an option. More than just a HVAC manufacturer. 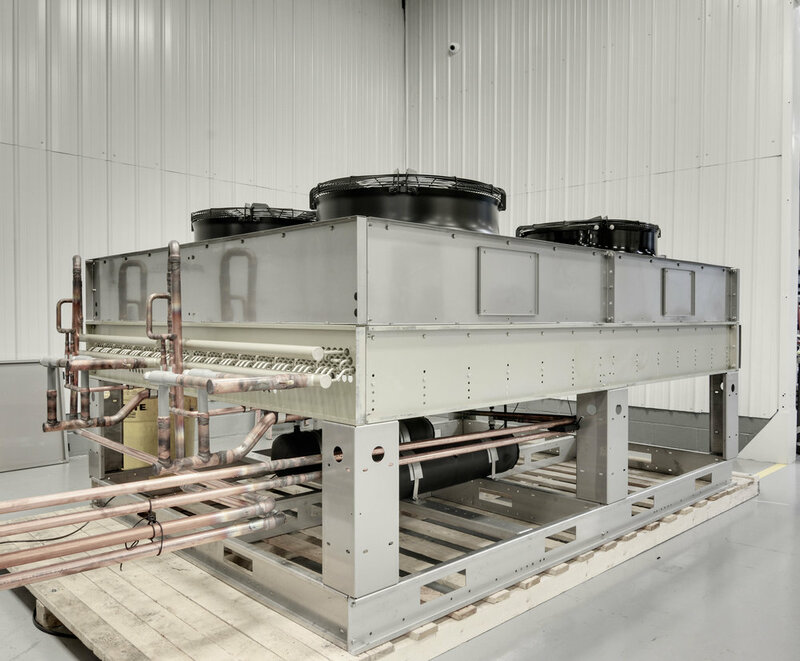 Advance Industrial Refrigeration is more than just an HVAC manufacturer – it's a full service solutions provider. We handpicked the areas to concentrate in to provide the most robust solution for our customers, ensuring they can find a complete solution from one source. We build robust HVAC equipment designed for the harsh realities of an industrial plant. Our air conditioning units specialize in controlling temperature and humidity at the same time. Our chillers are designed to be serviceable and maximize up time. We also have specialized chillers and make up air units designed to save energy to reduce operating costs. We provide start up service and repairs on our equipment across the country. We also can provide quarterly and annual maintenance plans for the AIR equipment on your site. We provide field engineering to fully design and implement your mechanical system into your facility, including proper equipment sizing and selection, ductwork, piping and structural design. We provide onsite maintenance personnel to take care of preventative maintenance repairs and new equipment installation. We take care of all HVAC-R equipment on site regardless of the brand. Let us focus on what we do best, so you can focus on what really matters. AIR offers us a system that is serviceable without completely shutting down the system because of their design having four sets of condensers and compressors we can do repairs and still provide chill water to the area. Also with their design, we have the ability to run only what is needed. For example, in the winter months we may not need to run a 500-ton capacity we have a variable with the unit that unloads the system load and saves power consumption. With a centrifugal system, the entire system has to go down. If this happens unplanned, we could potentially cause shutting down of drives in MCC rooms because of heat. Finally, with AIR we have excellent support for parts, supplies, and technical assistance. We currently on mill site have a smaller scale system in one of our drive rooms that uses the screw type compressors and have had great success with it. Unfortunately, with our Carrier tech and parts support it is limited along with the Trane equipment. I believe that AIR. is the better choice for the system because they have proven to be about reliability, quality, and support in the equipment that they have provided to us at the Mill. 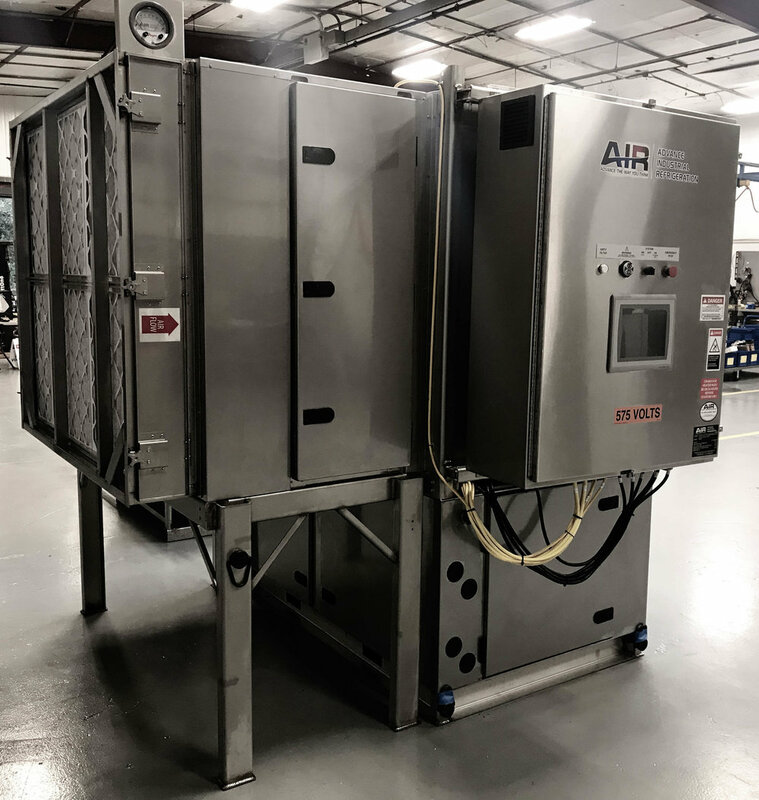 The staff at AIR are willing and eager to assist, train, and develop a maintainable piece of equipment that meets our specs and keep in mind the serviceability of the equipment in mind. Ultimately, when it comes to having a maintenance staff on site I would chose the equipment that offers the reliability and support to the maintenance workers that are there to handle it.